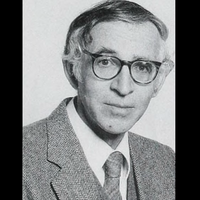 In 1983, Ernst Stelzer joined the European Molecular Biology Laboratory (EMBL) in Heidelberg, Germany, intending to do his doctoral research on membrane protein dynamics. Soon, he picked up a side project: developing one of the first confocal fluorescent microscopes. Stelzer and his colleagues designed a device with a pinhole that filtered out-of-focus layers of laser light to create thin “optical sections”—as opposed to physical slices—of a thick sample (J Microsc, 138:29-34, 1985). It was the first time anyone had been able to image intact tissue in three dimensions. Stelzer recalls taking an entire day to capture four images of baby hamster kidney cells. In addition to prepping the sample and focusing the microscope over the tissue, he had to transfer the resulting images from the microscope’s internal memory to floppy disk to scanner and, finally, to film printer. But despite its labor-intensive nature, the homemade instrument soon became a workhorse of the lab. Stelzer and his collaborators spent the next several years imaging subcellular structures and processes, such as the organization of microtubules, the synthesis and transport of lipids in canine kidney cells, and the tight junctions that join bird gizzard muscle cells. Stelzer soon began working with the Zeiss company to build some of the first commercial confocal instruments, and by the mid-1990s, the technique began to be widely adopted, revealing 3-D structures that traditional light microscopy never could. 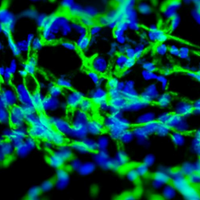 And confocal microscopy was just the beginning of the imaging revolution, which ultimately led to today’s ultra-high-resolution techniques and greatly improved three-dimensional visualization of living specimens. Now, these methods are drastically reshaping biologists’ ability to see and understand life’s smallest details—and the tool kit continues to grow. 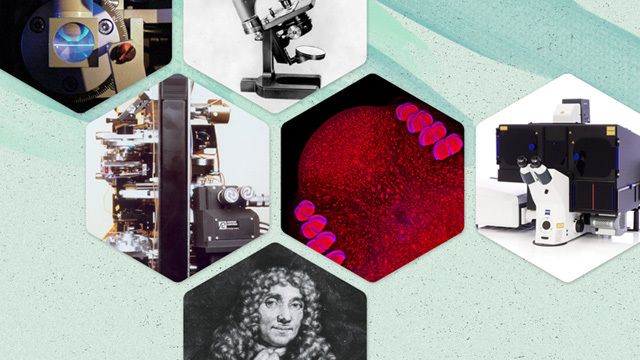 1673: Wellcome Images; 1886: DrBob/Wikimedia Commons; 1987: Ernst Stelzer; 2000: Ernst Stelzer; 2004: Philippe Girard; 2006: ZEISS Microscopy; 2014: Betzig Lab, HHMIThe first microscopes were developed in 17th-century Holland, with notable contributions from Dutch lens maker Antonie van Leeuwenhoek, who built instruments with resolutions as good as 1 micrometer (μm). In 1873, physicist Ernst Karl Abbe figured out that the resolution of a microscope was limited by the diffraction of the light passing through its lens, and worked with optical instrument maker Carl Zeiss (founder of the Zeiss company) and glass manufacturer Otto Schott to develop microscopes capable of resolving images right up to what he proposed as the theoretical limit—about 200 nanometers (nm), or 0.2 μm. Abbe argued that it would not be possible to achieve finer resolution, and for the next century, that seemed to be the case. “The microscope you could buy in 1980 wasn’t terribly different from the microscope you could buy from Zeiss in 1880,” says Eric Betzig of the Howard Hughes Medical Institute’s Janelia Research Campus. Yet today, researchers can buy microscopes with resolution 10 times greater than Abbe’s diffraction limit. Hell’s group succeeded first. In 2000, the researchers introduced a high-energy method known as stimulated emission depletion (STED). The microscope projects a narrow beam to excite a small part of the sample while simultaneously shining a ring around the narrow beam to quench the surrounding fluorescence, shrinking the area that is illuminated. It was the first optical method to significantly push past the diffraction limit for biological specimens, revealing clear delineations between structures as close as 20 nanometers apart (PNAS, 97:8206-10, 2000). STED “radically changed people’s mind-set about what a light microscope can actually do,” Hell says. Six years later, Betzig, too, built a microscope with resolution greater than Abbe’s 200-nanometer diffraction limit. To do so, he had turned to William Moerner’s discovery of a GFP variant that could be turned on and off with different wavelengths of light. Betzig’s method, called photoactivatable localization microscopy (PALM), uses slight differences in the on/off rates of individual molecules to distinguish between them and determine their exact location from a series of superimposed images; the method has a resolution comparable to that of STED (Science, 313:1642-45, 2006). He, Moerner, and Hell shared the 2014 Nobel Prize in Chemistry for their advances in super-resolution microscopy, or nanoscopy. One drawback of super-resolution techniques is potential damage to the sample being examined from the extreme amount of energy directed at it. “STED requires a billion times more light than cells evolved [to live] at,” Betzig says. Hell has partially solved this issue with RESOLFT, a STED variation that uses much lower levels of light. Scientists have also developed other “gentler” methods, such as structured illumination microscopy (SIM), which shines patterns of light on a sample. The resulting images can then be combined for a twofold improvement in resolution over Abbe’s limit, and SIM “doesn’t locally burn your sample like a confocal technique,” says Rainer Heintzmann of the University of Jena who began developing the method as a graduate student in the late 1990s. 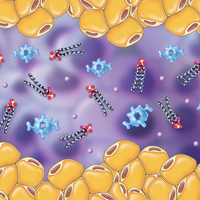 But even these lower-energy confocal techniques can damage cells. 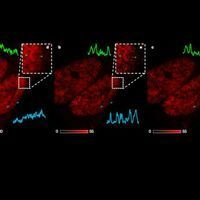 For imaging live tissue in three dimensions over long periods of time, researchers turn to light-sheet microscopy, in which light shines through the side of the sample perpendicular to the detector. By 2004, Stelzer had developed selective plane illumination microscopy (SPIM), a technique that achieved subcellular resolution, and was using it to visualize live embryos of fish and flies (Science, 305:1007-09, 2004). Because SPIM exposes samples to energy that is several orders of magnitude less intense than other techniques, imaged samples go on to produce viable offspring, Stelzer says. Most recently, Betzig introduced lattice light-sheet microscopy, which reduces the light energy directed at the sample by melding SPIM with SIM, illuminating the specimen with patterns of light instead of flat sheets (Science, 346:1257998, 2014). 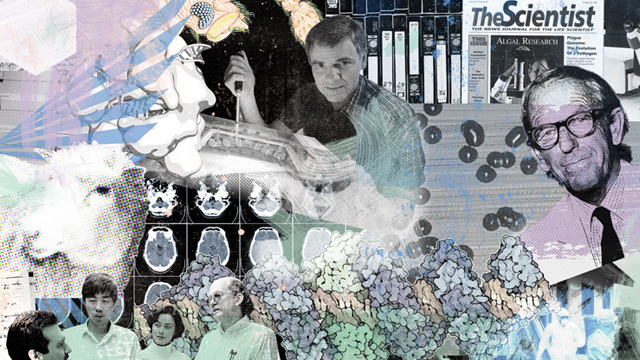 Read about how technological advances over the last three decades have enabled research in other life science fields in The Scientist’s special 30th anniversary feature.